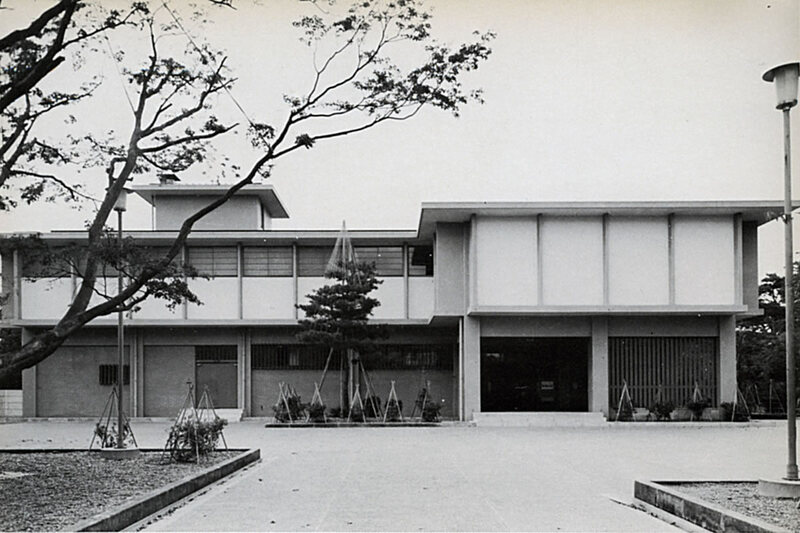 The predecessor to the current museum was opened in October, 1959, one of the oldest regional museums in Japan. It was designed by the late Mr. Taniguchi Yoshiro, an architect and a member of the Japan Academy of Art. It was located at the edge of Kenrokuen Garden, and its design was harmonised with the landscape of the garden. The total floor area was 2,190 square meters, with five exhibition halls. It was remodelled a few times and it held various exhibitions, but in November, 1983, after a 24 year history, it was closed since it could no longer accommodate the large-scale, diversified events demanded by new exhibitions. The final exhibition was its 282th, and this was the 30th Japan Traditional Arts and Crafts Exhibition. Now this facility is used as the Ishikawa Prefectural Museum of Traditional Arts and Crafts. The old museum's collection, including one National Treasure and four Important Cultural Properties, was handed over to the present museum. They are exhibited together with newly collected fine art works in our permanent exhibition halls. Around 1965 the Japanese economy started to grow dramatically and as this was also the 100th anniversary of the Meiji Restoration, museums were built in various regions. 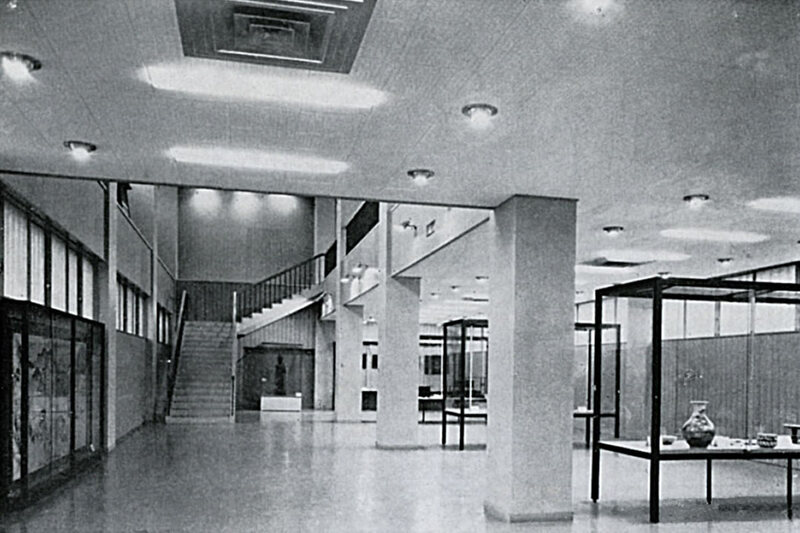 Around 1975, demand grew for new museums that could cater for large-scale, diversified, new style exhibitions. Ishikawa Prefecture also decided to build new museum of such capacity. Although a suburban area was initially listed as the chosen site, the present site was eventually selected because it was in the cultural heart of Kanazawa, and most European museums had been located close to residential areas. 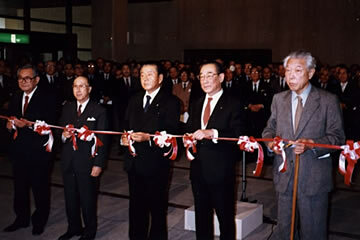 The opening ceremony started at 3pm on 12, November, 1983. Some 500 guests were invited to the ceremony. A series of special exhibitions, co-sponsored by local newspaper companies in commemoration of the opening, welcomed approximately 90,000 visitors during the first 5 months until March, 1984.